It was started in 1923 with a class of 12 LT students and 4 faculty members of three different nationalities. 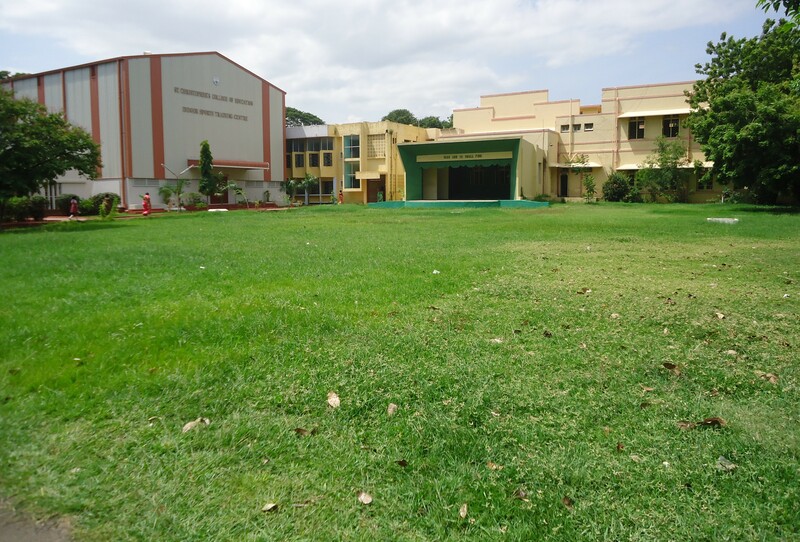 This Residential College is situated in Tamil Nadu, South India. The College is affiliated to the Tamil Nadu Teachers Education University and prepares students for the D.El.Ed., B.Ed., M.Ed., and M.Phil. Degree Examinations. 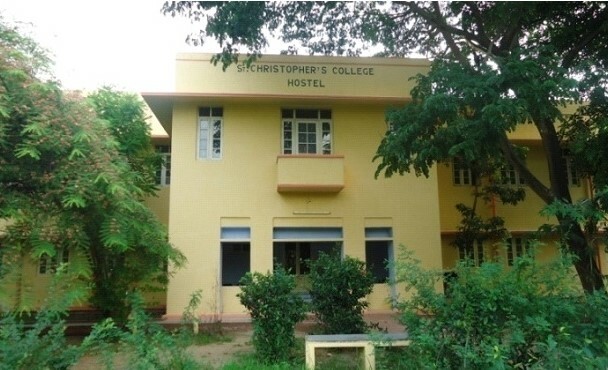 St. Christopher’s College of Education was started in 1923 with a class of 12 LT students and 4 faculty members of three different nationalities. This Residential College is situated in Tamil Nadu, South India. The College is affiliated to the Tamil Nadu Teachers Education University and prepares students for the D.El.Ed., B.Ed., M.Ed., and M.Phil. Degree Examinations. The college has been recognized to conduct research leading to Ph.D. The College was accredited at Five Star Status and reaccredited at ‘A’ level by NAAC, UGC of Govt. of India. The College is also the recipient of the National Gold Star Award from the International Business Management, New Delhi for its outstanding achievements in the field of education. 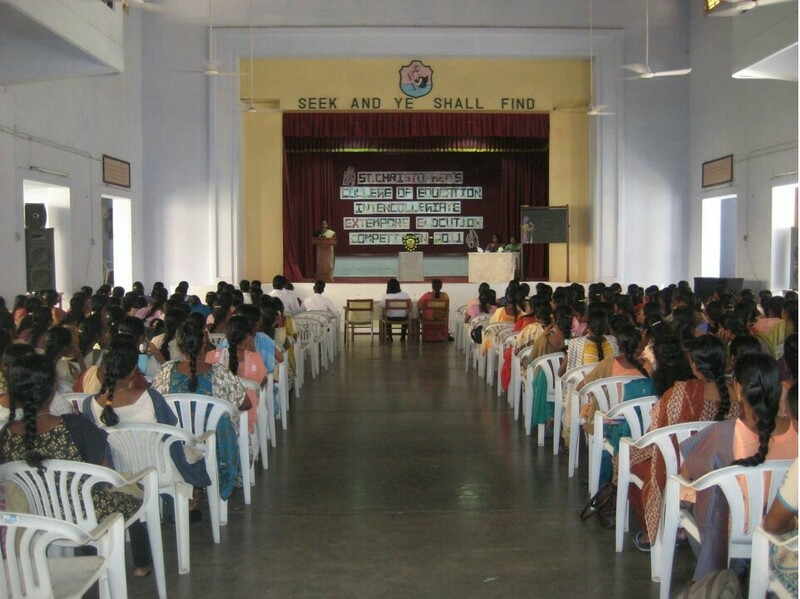 In keeping with the vision of the college which is ‘To provide women, special consideration being given to the poor and the needy, with professional and general education of the highest order on Christian lines’, the college has been doing pioneering service in integrating the efforts for excellence in Christian values also. St.Christopher's Academy (CBSE) Admission Open for the Year 2017-18. To provide women, special consideration being given to the poor and the needy, with professional and general education of the highest order on Christian lines. She was the Founder and Principal of St. Christopher’s College of Education for nearly thirty years. All who knew Miss Brockway will remember her long, devoted and selfless service to the cause of Christian Education in India and her readiness to give her services to any cause that would benefit humanity. 2017 - A new CBSE school started / St Christophers Academy Started. Many metaphors have been used over the years to describe teaching and teachers. Embedded in each metaphor are important assumptions about the role of teachers. For example a very old and still dominant metaphor is the ‘guru’. This suggests that the teacher knows best and has the answers to all questions. Other metaphors used include ‘guide’, ‘facilitator’, ‘confidante’, and ‘child minder ‘and ‘surrogate parent’. But these are simplistic and each describes a specific secondary function of the teacher. None of these metaphors describes the primary role of the teacher, which is to influence the students. -The relationship in which one person, or leader, influences others to work together willingly on related tasks to attain that the leader desires. -The process of influencing the activities of an individual or a group towards the achievement of a goal in a given situation. -Inter-personal influence exercised in situations and directed through the communication process towards the attainment of a specified goal. -Attempts on the part of the leader (influencer) to affect the behavior of the followers (the influenced) in a situation. -The ability to shape the attitudes and behavior of others in formal or informal situations. -The art of influencing others to their maximum performance to accomplish any task. There is an interesting convergence between these definitions of leadership and education. The root word of education is the Latin word ‘educare’, which means to draw out from the students their potential and to lead them towards its realization. Similarly education has long stressed the importance of rapport (relationship) between teacher and students. The importance of recognizing and nurturing the diverse talents and abilities in each class, and the important role teachers play in helping students clarify and achieve their personal goals in life is the primary expectation of a teacher. In short teachers have always been leaders. There is a deep hunger today for a world where people truly care for one another, where people are treated humanely and helped in their personal growth and development, where people are treated with honesty and fairness, and where leaders can be trusted to serve the needs of the people rather than their own selfish interests. The world is in need of genuine leadership, leaders with a servant’s heart. Highly effective leaders succeed in large measures because they consistently think of themselves as servants. They wish to serve people. When leaders are eager to serve, others will also reflect that eagerness. This kind of leadership is expected from teachers. A teacher with servant’s heart can bring about progress in her students, in her organization and in turn in the community. St.Christopher’s College of Education was established in 1923, and is residential. It was affiliated to the University of Madras till 1-Jul-2008, from then onwards it is affiliated to the Tamilnadu Teachers Education University. The college offers courses leading to B.Ed., M.Ed. and M.Phil. degrees and research leading to Ph.D. degree. The college is recognized by the Department of Education, Tamilnadu, as a Teacher Training Institute and prepares teachers who will teach in primary schools. 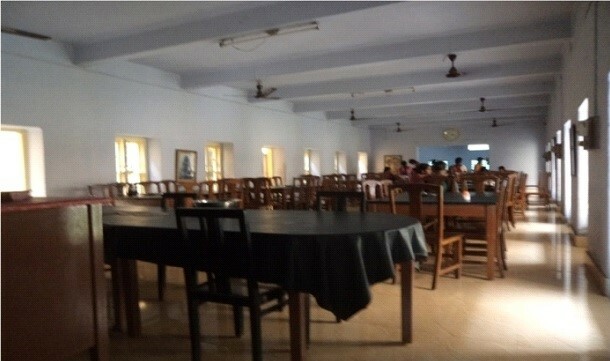 Opportunities for observation and practice teaching are provided in the model school Bentinck Higher Secondary School for girls, which is under the management of the College.The other Secondary and Higher Secondary Schools in the city are also practice teaching schools for both B.Ed and D.EL.ED student teachers. A nursery school is also attached to the College where the children above 2 ½ years of age are admitted. It serves as a Laboratory school for the B.Ed & the N.T.Ed. Individual attention and guidance are given by efficient and enthusiastic staff. Children enjoy learning through discovery and modern teaching aids. Nursery children are also given nutritious food. ii. Candidates with minimum marks of 50% for OC, 45% for BC, 43% for MBC and 40% for SC. In the Part III of the UG Degree. iii. Candidates who have taken more than one main subject in part III of U.G. degree have to choose and apply for any one of the main subjects in B.Ed. * For Commerce and Home Science, Candidates with P.G. Qualification alone will be considered. 1. HOURS OF ATTENDANCE: Attendance is taken daily at 9.00 a.m. and 1.00 pm Those who arrive late are marked absent. 2. RELIGIOUS AND MORAL EDUCATION: Parallel courses are provided in (a) the content and methods of teaching the Christian Religion and (b) Moral Education. Every student is expected to attend one of the courses. 3. MARRIAGE: Parents are advised not to arrange marriage for their daughters during the course. 4. Students admitted to the Hostel will not be allowed to become day students during the course of the year. 5. PHYSICAL EDUCATION: All students must attend physical education classes, which may be arranged before or after regular class hours, in accordance with the regulations of the University. 6. B.Ed. CAMP: Students are required to be residents during the B.Ed. Camp, which is a part of the course. 7. TEACHING PRACTICE: Teaching practice is arranged in the model school, viz., Bentinck Higher Secondary School for Girls and in other Secondary and Higher Secondary Schools in the city. Every student must satisfy the conditions laid down by the University regarding practical work and teach in any school, as arranged by the college. 8. LEAVE: The University requires that an accurate record be kept of the reason for any leave taken. Leave must be applied for and sanctioned in advance. Written applications for leave should be submitted one day in advance. No student can avail leave for more than ten days in the year. If a student absents herself for five consecutive working days without applying. for leave, her name will ordinarily be removed from the roll of the College. No leave will be granted for any reason. whatsoever, in advance or in continuation of terminal holidays. 9. ATTENDANCE: No student will be released from training until the course is completed. A student who fails to keep adequate attendance for each aspect of the course, including lectures, teaching practice, physical education and B.Ed. camp, will not be permitted to appear for the B.Ed. degree examination as per the University regulations. 10. Students may not take any course of study other than those offered at the College. English and Tamil Literature and other Post Graduates shall opt for Course-I and II in their respective specialization while the other graduates shall opt for Course-I in their respective Major subject and second special Course will be allotted depending on the ancillary subjects. The Board will examine the teaching competence of the candidates and their practical work. The Board shall ratify the marks awarded to each student in the two divisions of practical examination-teaching competence and practical aspects. C. The pattern of question paper is same as B.Ed. Degree. From the academic year 2010-11, the M.Phil. programme has been brought under autonomy. Paper 1 – Advanced Research Methodology & Statistics in Education. Paper 3 – Internal – Thesis related paper. The college continues to provide a rich environment which is intellectually stimulating and aesthetically pleasing. The hostel provides a wholesome atmosphere for living and learning. The hostel has been extended with a few more rooms in the year 2009. The hostel mess has been renovated with new flooring extending its way upto the corridor of the hostel down stairs. 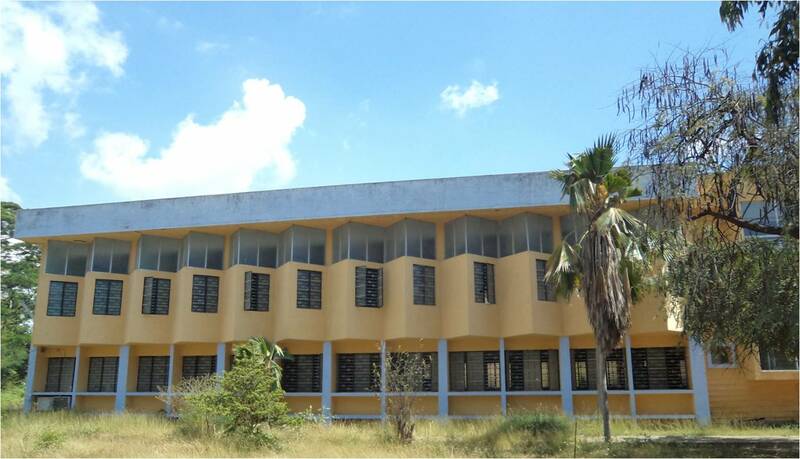 The existing hostel has been extended with 5 single rooms, a Dining Hall and a Study Hall in the first floor. As educators we try to utilize all possible opportunities, to inculcate a proper sense of values through the curriculum and also develop an understanding of the critical factors affecting us today.The life of a student is a busy, wholesome one filled with new and varied things to do. The most important aspect of on-campus life is the opportunity it offers to develop self-discipline, inter-personal relationship and the sense of community responsibility along with the academic work. As staff we endeavour to inculcate in our students the habit of honest hardwork.